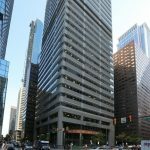 Silverstein Properties Inc. has closed on the $451.6 million purchase of BNY Mellon Bank Center, a 54-story, 1.3-million-square-foot office trophy office building in Center City. Silverstein, a New York real estate firm, bought the property in a venture with Arden Group of Philadelphia, and Migdal Insurance, an Israeli-based insurance company and pension fund manager. This is the first acquisition in Philadelphia for Silverstein. Arden Group has owned properties in Philadelphia and its suburbs as well as developed the Ritz-Carlton and the Residences at the Ritz-Carlton in Center City. For more information about Philadelphia office space for sale or lease or about commercial properties for sale or lease elsewhere in the United States, please contact the team at Wolf Commercial Real Estate, the premier Philly commercial real estate brokerage firm at 215-799-6900. Global biotechnology company Amicus Therapeutics signed a 75,000-square-foot lease at University City Science Center’s Class A office building in downtown Philadelphia. The uCity Square facility at 3675 Market St. will serve as Amicus Therapeutics’ (Nasdaq: FOLD) global research and gene therapy of excellence location, where the company expects to house 200 employees over the next few years. Developed by Baltimore-based Wexford Science & Technology, the 350,000-square-foot building delivered in 2018. 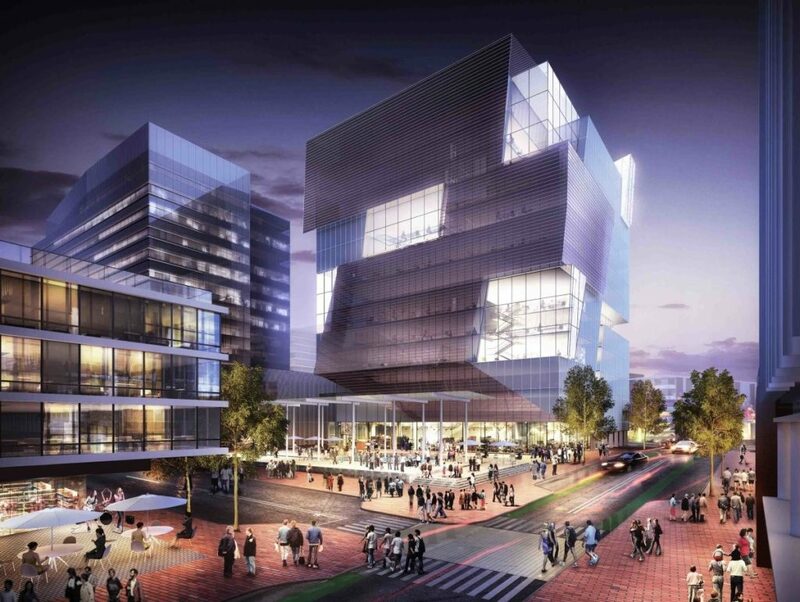 The 5-Star, 14-story structure is across from the 36th Street and Market Street light rail station, and the research center is expected to be completed by the third quarter of 2019. A group of Amicus research employes have already moved into a temporty space at BioLabs@CIC Philadelphia during construction of the permanent space. 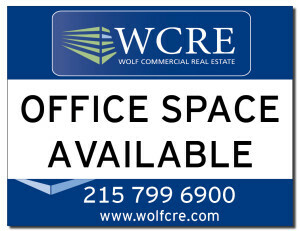 Wolf Commercial Real Estate, the leading Philly commercial real estate brokerage firm that specializes in Philadelphia commercial real estate listings and services, is offering prime Philly office space to sublease in 2 Penn Center at 1500 John F. Kennedy Boulevard Philadelphia PA. This Philly professional office space – located in the heart of the Philadelphia Business District – has 400 sf of Philly professional office space to sublease available. Prospective tenants will find two fully furnished offices at this Philadelphia office space to sublease. This Philly professional office space to sublease also has 24-hour security. The asking sublease price for this professional office space in Philadelphia is $1,800 per month (Full Service). 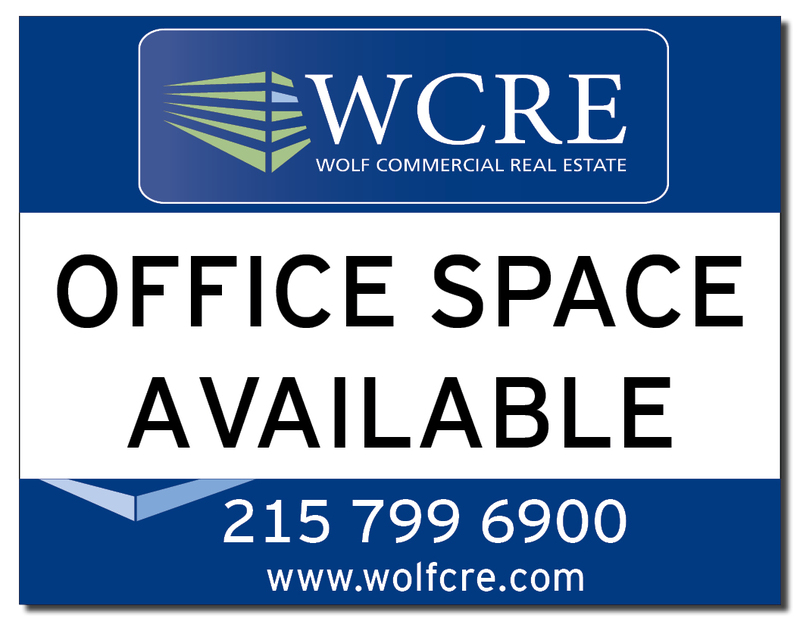 This Philly professional office space to sublease is being offered through Wolf Commercial Real Estate, a Philadelphia commercial real estate broker with expertise in Philly commercial real estate listings and services. 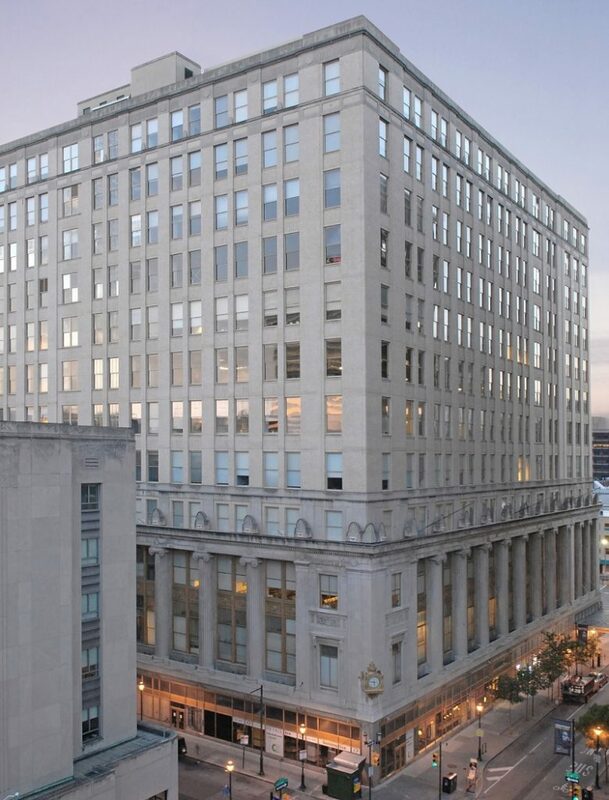 This Philadelphia office space to sublease in 2 Penn Center at 1500 John F. Kennedy Boulevard Philadelphia PA is in a 20-story, Class A office building and there is a total of 502,531 sf in the building hosting this professional office space in Philly. Building amenities of this professional office space in Philadelphia include upgraded bathrooms and corridors. There also are views of Love Park from this Philly office space to sublease. 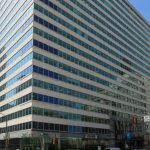 This Philadelphia office space to sublease in 2 Penn Center at 1500 John F. Kennedy Boulevard Philadelphia PA offers shared access to a kitchen and a conference room within the suite. There also are several parking garages nearby this Philly office space to sublease. This Philly professional office space is available to sublease through Wolf Commercial Real Estate, a Philadelphia commercial real estate brokerage firm with expertise in Philly commercial real estate listings and services. Nearly 74,000 people reside within a one-mile radius of this professional office space in Philadelphia while the average household income in the same geographic area near this Philly professional office space to sublease is $80,604. For more information about this Philly office space to sublease in 2 Penn Center at 1500 John F. Kennedy Boulevard Philadelphia PA or about any other Philadelphia commercial properties for sale or lease, please contact Mitch Russell (215-799-6143; mitch.russell@wolfcre.com) at Wolf Commercial Real Estate, a Philly commercial real estate broker that specializes in Philadelphia commercial real estate listings and services. Wolf Commercial Real Estate, a full-service CORFAC International brokerage and advisory firm, is a premier Philly commercial real estate broker that provides a full range of Philadelphia commercial real estate listings and services, property management services, and marketing commercial offices, medical properties, industrial properties, land properties, retail buildings and other Philly commercial properties for buyers, tenants, investors and sellers. Please visit our websites for a full listing of Philadelphia commercial properties for sale or lease through our Philly commercial real estate brokerage firm. Hether Smith with Savills Studley represented the tenant in negotiations. For more information about Philadelphia office space for sale or lease in Philadelphia or about any other Philadelphia commercial properties for sale or lease, please contact Christopher Henderson (856-857-6337; chris.henderson@wolfcre.com) or Jason Wolf (856-857-6301; jason.wolf@wolfcre.com) at Wolf Commercial Real Estate, a Philadelphia commercial real estate broker. Wolf Commercial Real Estate, a full-service CORFAC International brokerage and advisory firm, is a premier Philadelphia commercial real estate broker that provides a full range of Philadelphia commercial real estate listings and services, property management services, and marketing commercial offices, medical properties, industrial properties, land properties, retail buildings and other Philadelphia commercial properties for buyers, tenants, investors and sellers. Please visit our websites for a full listing of Philadelphia commercial properties for lease or sale through our Philadelphia commercial real estate brokerage firm. Rendering of the planned 200,000-square-foot Pattison Place office tower in Philadelphia. Image: The Cordish Cos.
Comcast Spectacor and The Cordish Companies revealed details for Pattison Place, an $80 million office tower planned for a site adjacent to the firms’ Xfinity Live!project in the South Philadelphia stadium district. Designed by Beyer Blinder Belle and BLT Architects, plans for the 200,000-square-foot office building call for a 4,000-square-foot lobby with 35-foot ceiling heights and 20,000 square feet of ground floor retail space. 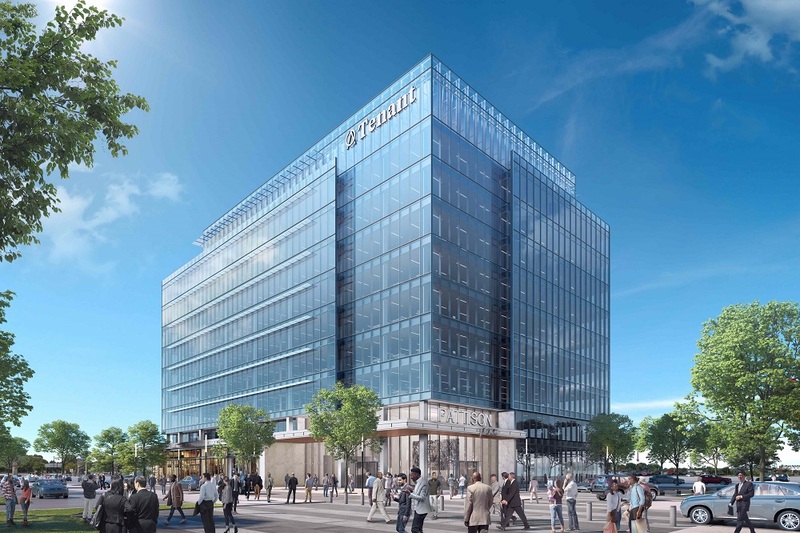 Construction of Pattison Place is expected to create 1,670 new jobs and generate $295 million in economic benefits to the city and state over a 30-year period, according to the developers. They plan to begin construction after leasing a certain amount of space in the new project. The building is located on part of the 47-acre tract of city-owned land that Comcast Spectacor has the right to develop under a long-term ground lease. A subsidiary of Philadelphia-based Comcast Corp., Comcast Spectacor owns and operates the Wells Fargo Center arena and complex, as well as a portfolio of professional sports teams that includes the National Hockey League’s Philadelphia Flyers, the Overwatch League’s Philadelphia Fusion, the National Lacrosse League’s Philadelphia Wings and the Maine Mariners of the ECHL. Throughout 2015 and 2017 Independence Hall was an outlier with noticeably higher vacancies than other submarkets in and around the Philadelphia office space central business district (CBD) such as Market Street West and University City. These higher vacancies were caused by move outs by both government and private sector tenants including the U.S. Navy, the GSA and Dow Chemical. 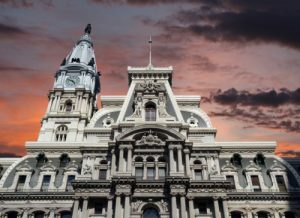 Independence Hall’s concentration of older office buildings and its distance from key center city regional rail stations are potential Philly office space drawbacks from many office tenants’ perspective. However, a slew of office renovations, restaurant/bar openings and high-end residential construction are now coalescing in what was once a relatively sleepy submarket. 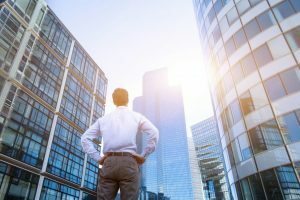 This report on U.S. and Philadelphia commercial properties, being made available through Philadelphia commercial real estate broker Wolf Commercial Real Estate – a Philadelphia commercial real estate brokerage firm, is part of the Market Insights series from the CoStar Group research organization. These periodic reports provide a snapshot of recent real estate trends. CoStar monitors commercial real estate across 390 metro areas and analyzes the economic trends that move these markets. Since 2014, Keystone Property Group has re-energized the ground floor of 100 Independence by bringing Independence Beer Garden — which includes outdoor seating and a gaming area — and modernist café La Colombe. One block away, MRP Realty’s newly-renovated Bourse — previously home to the nation’s first commodity exchange — is reopening this fall with an impressive array of new dining and drinking options on the ground floor. Coworking operator Make Offices also recently leased 35,000 square feet of Philadelphia office space on the property’s 5th floor. More than 850 new, high-end apartment units have either completed or broken ground in the Philly office space submarket of Independence Hall over the past five years. Parkway Corporation recently completed its Civic Design review for a proposed 278-unit apartment tower at 709 Chestnut. Toll Brothers is also planning an 85-unit condo development on the 700 block of Sansom Street. These improvements to Independence Hall’s ambience and amenity offerings are beginning to bear fruit for office owners. A handful of large Philadelphia office space leases including Macquaire Investment Management, Five Below and a few coworking operators have been signed in recent years. These leases, combined with conversions of older office space into apartments, have helped bring Independence Hall’s office space availability rate — the percentage of space being marketed for lease — back in line with other Center City submarkets in 2018. Given Independence Hall’s complete lack of new office construction, the submarket’s availability rate has nowhere to go but further down if tenants’ interest for Philly office space in the area continues to rebound. It will be interesting to see just how much more tenant interest Independence Hall can garner in the years ahead. For more information about Philadelphia office space or other Philadelphia commercial properties please call 215-799-6900 to speak with Jason Wolf (jason.wolf@wolfcre.com) at Wolf Commercial Real Estate, a premier Philadelphia commercial real estate broker that specializes in Philly office space. Over the past several years, the investment market within the Philadelphia and Southern New Jersey region has grown extremely competitive. Market trends show a majority of investors are looking within the Philadelphia region seeking higher upside values and returns. These investors are typically searching for 8% + returns on investments. This has become increasingly challenging in the PA/NJ market. WCRE helps investors identify these opportunities by locating off-market investments. Market knowledge is power. Recently, WCRE represented a client searching for a long-term lease solution. WCRE was able to identify a vacant building opportunity and identified several investors to commence negotiations with our leasing/tenant opportunity. Ultimately, WCRE was able to successfully satisfy both clients’ needs — securing a 15-year lease for the tenant and double-digit returns for the investor. When investing in the market place, it is important to align yourself with a real estate expert who understands the current market and how to structure investments for higher returns and long term security. To learn more about Wolf Commercial Real Estate, please contact WCRE at 856-857-6300 or visit our website at www.WolfCRE.com.